Anyone who knows me knows that I’m adventurous, fearless to a fault, and hate to say no to new and enriching experiences. On the other hand, my sister is the more cautious, sensible one (she always said whereas she would see the dangers of things, I would see only the possibilities). 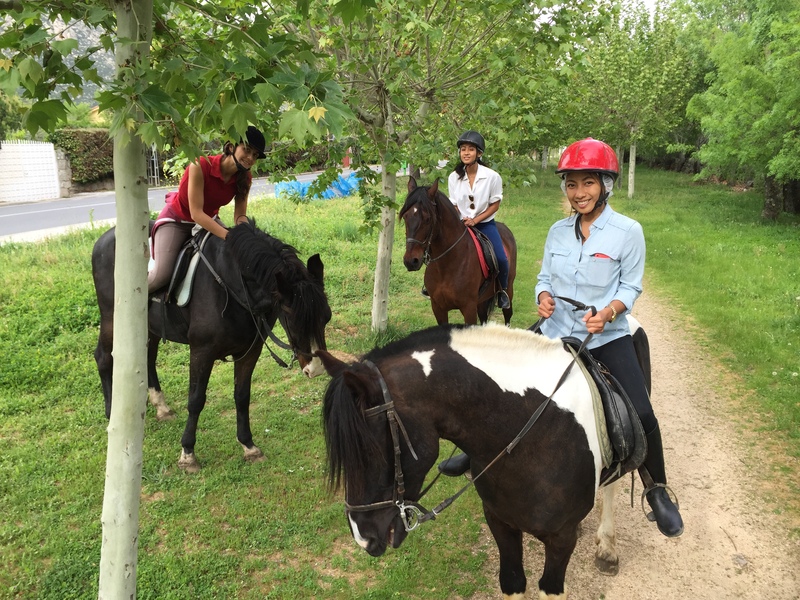 So when our newfound Madrileña friend Almu (short for Almudena, patroness of Madrid) asked us if we wanted to go horseback-riding one weekend, I immediately jumped at the chance. I thought: wow! 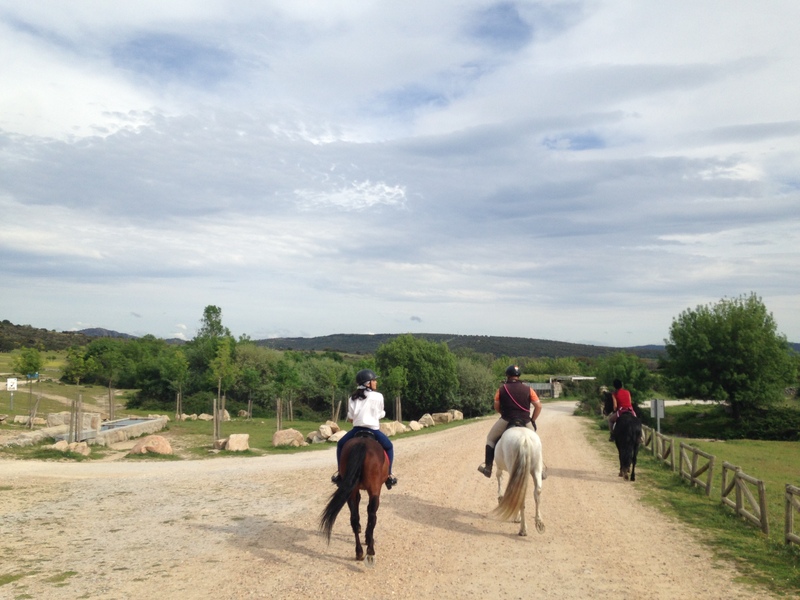 What a rare opportunity, how often do we get an invite to go horse-back riding in Spain?? “Yes!” I say. 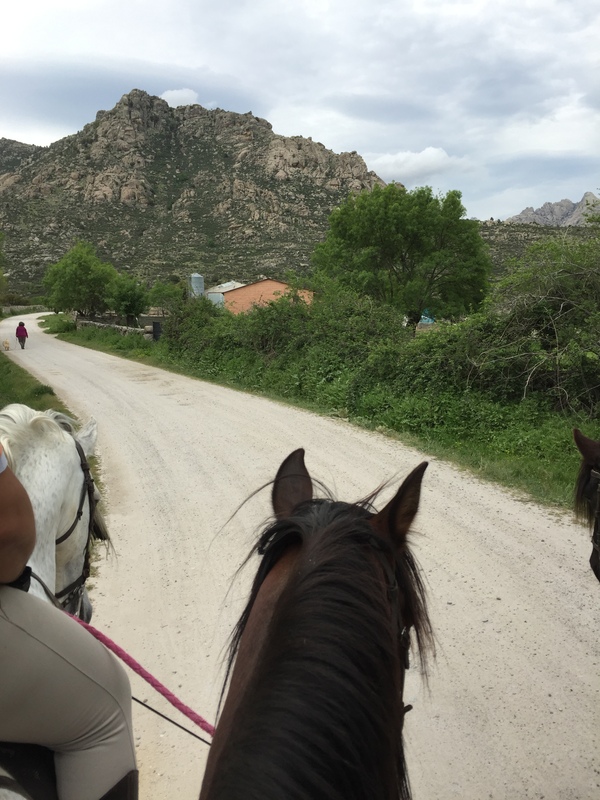 There have been a few times I’ve been on a horse, when some Filipino guy would be leading on foot the whole time, going slower than normal walking pace… or to pose for a photo. But my sister wasn’t so sure. 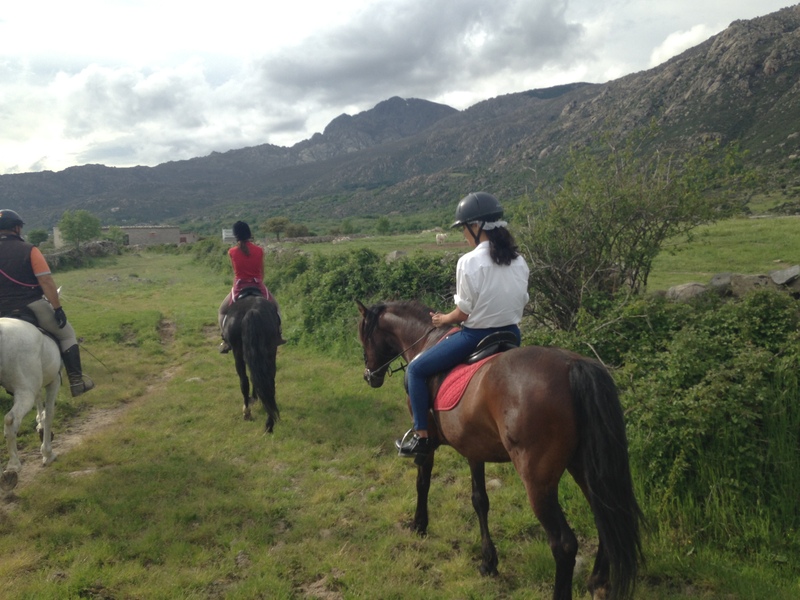 She had a point when she said we’ve never had any riding lessons before, so maybe we shouldn’t do it. But of course I wasn’t having any of that and persuaded her to go along with it. So we showed up at the horse-riding place with no experience, no boots (Almu lent Joyce a pair while I used my heeled boots which I really don’t advice because it was difficult to get a grip…), a vague idea of what a horse-riding outfit should be, no helmet/hat, nothing but our eagerness to do it. 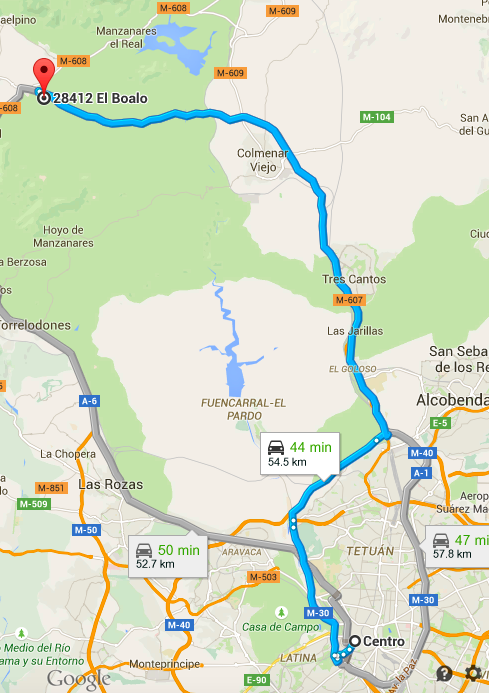 We paid 30 euros each for a 1-2 hour ride around the area of Manzanares el Real, the ridge around 55km north of Madrid. 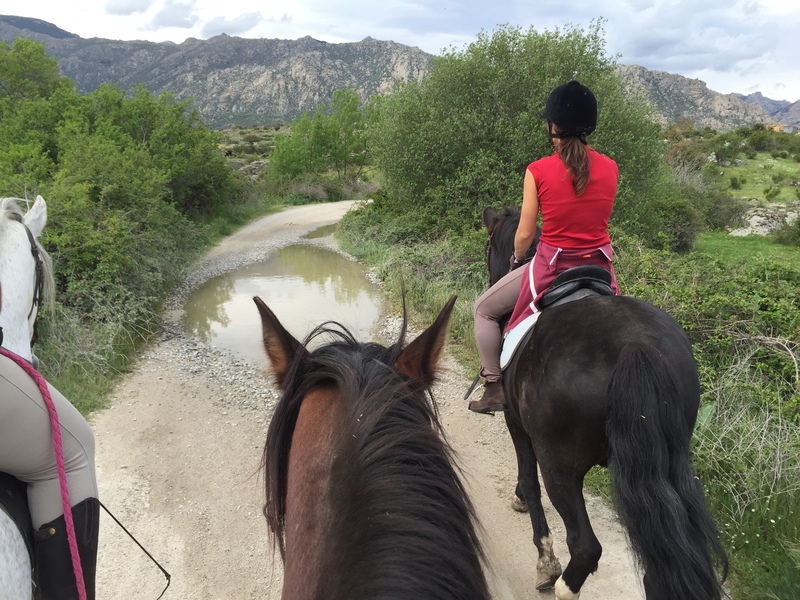 The air was so fresh and crisp, the land verdant, and being on a horse was unspeakably relaxing once we got the hang of it. He taught us how to mount, hold the reins, direct the horse, and all the other basics. When he realized that we weren’t going to fall off our animals, he relaxed and allowed us to leave the enclosure. 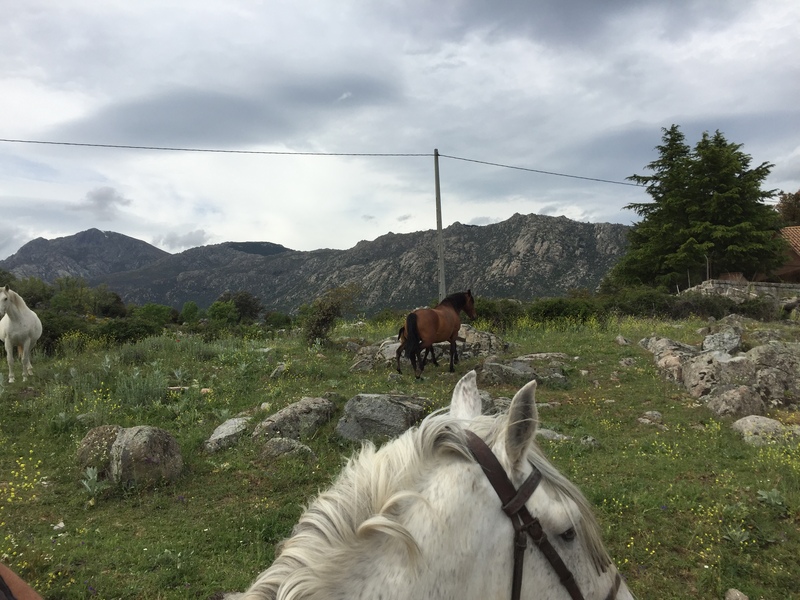 Apparently if we hadn’t been able to establish a good connection with the horses, he wouldn’t have let us out of the area to ride. That experience was yet another unforgettable one of many in Spain, and I would definitely want to get into it if I lived somewhere like this. 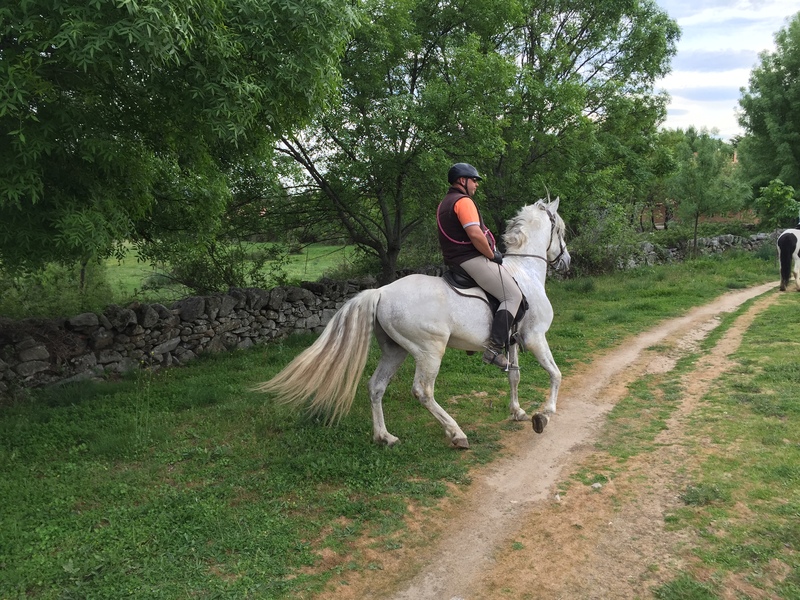 It’s a different kind of zen from running or yoga… the connection with the animal makes all the difference, and I can now completely understand why and how people fall in love with riding. 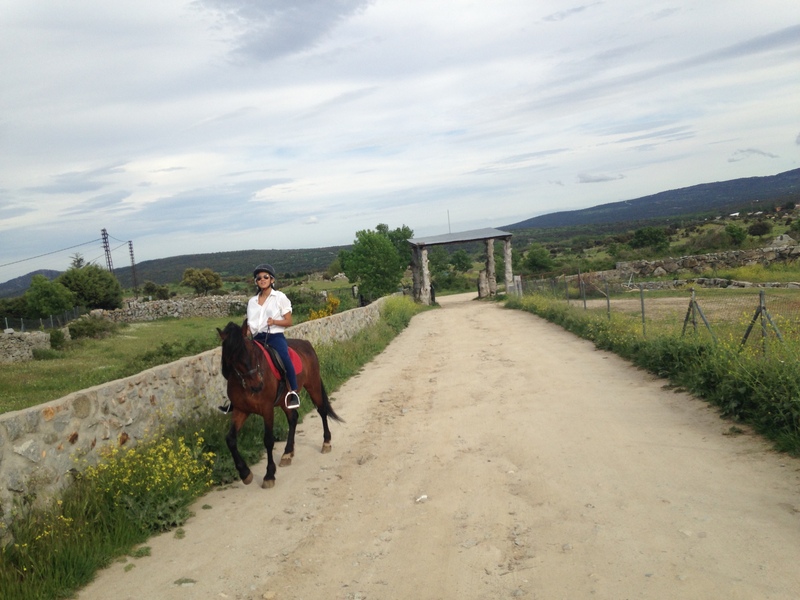 The horses are beautiful, strong, elegant, noble creatures and it’s an honour to have them as a traveling partner. Urb Las Praderas, al final de la calle ppal, por la via pecuaria a la izq, a 200m.